As students of the University of Ghana (Legon), Kingley Darkey a level 300 Business Administration student, Kumi Richard a level 300 Political Science and Adult Education student and Kofi Tenkorang a graduate, have taken some parts of Accra by storm with their delicious PBM Breads. 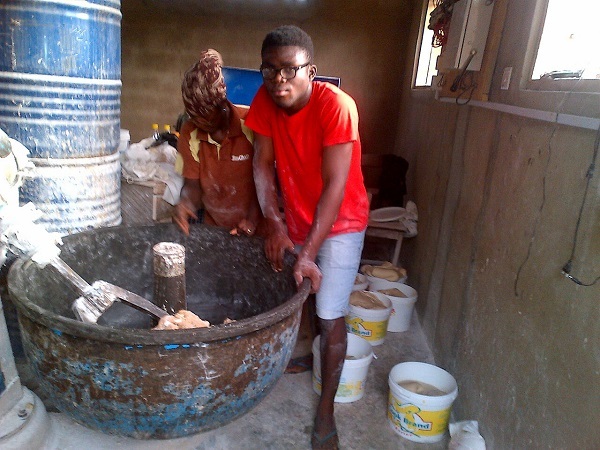 PBM Bakery is an abbreviation for Patience Baah Mensah, aunty to Richard Kumi, who has for the past seven years locally been baking all varieties of bread that are mainly seen on the market domain which includes popular ones like the sugar, butter and tea bread. Among her breads are also the Soya, Coconut and Banana Bread that are made of natural fruits. 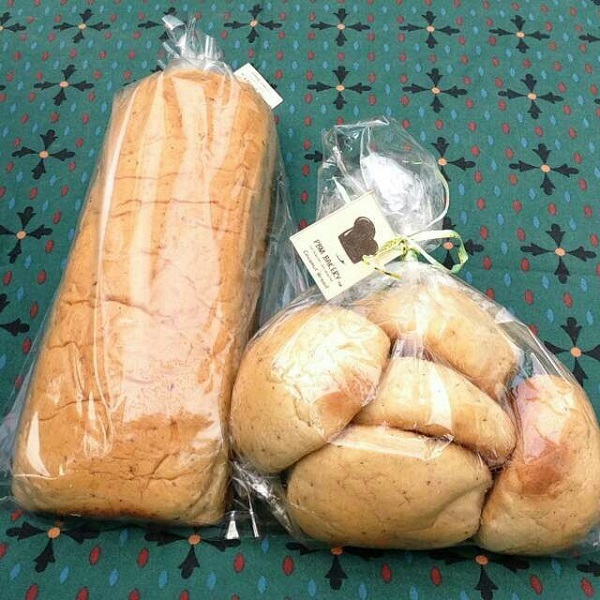 Friends from Presec Legon, the trio have taken PBM Bread as a business and transformed the naturally made fruit bread into a suitable and presentable bread ready for the market. ?As students we wanted to create a job for ourselves on campus but we didn?t have the necessary resources. So we came across aunty Patience Soya, Coconut and Banana Bread and we decided to add our skills, knowledge and time to it. We branded, packaged and went out to look for customers? 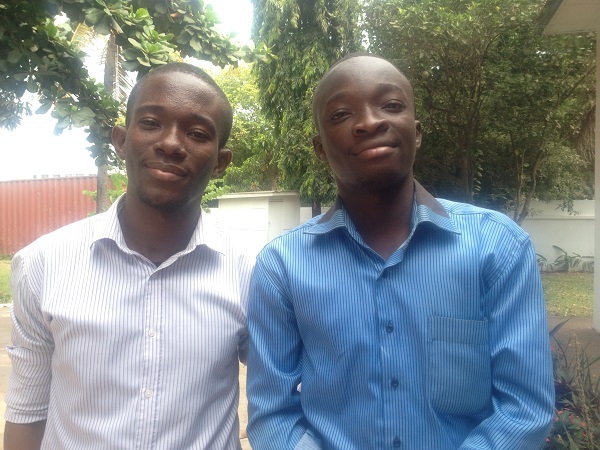 Joining PBM Bakery in early 2014, the young guys have stormed areas like Legon and Madina with their delicious and healthy Soya, Coconut and Banana Bread. Their unique bread has won the hearts of many personalities including Talk Show host and comedian, Kwaku Sintim Misa (KSM) and hosts of This Morning Show on Viasat 1 – Patrice Amegashie and Kokui Selormey. According to the three besties, their passion to cook has driven them to a better path of their business even though they are still in school. ?We have always wanted to do stuff relating to food and when the opportunity came we didn?t hesitate to grasp it. We added importance and class to the PBM brand? They lamented on some of the challenges they faced during the beginning of their bread business. ?We heard all sort of funny comments on campus just to ridicule us of what we had been up to but that didn?t deter us from our passion. It was not about their comments but our passion and determination pressed us to continue with the business.? ?Business has been good and our clients keep increasing every now and then since we joined and rebranded the whole thing. Also some friends who mocked us during the beginning now congratulate us for a good initiative? Kinsley praised. To them, combining business and education hasn?t been easy but they are able to do so as a result of proper time management. Currently with two employees, they look forward to extend their clientele base both on the local and international market. BPM Soya, Coconut and Banana Bread can be purchased at East Legon Shell, Legon Shell, West Lands Fresh Foods, Haatso Total, B Mart, West Legon, Oando Legon, Tablets Xtra and Atomic Junction.